ARMED WITH THE POWER OF HIS NAME…. I have the fondest and most vivid memory of how Bahá’u’lláh came to my assistance, when I just did not know how to come out of the most difficult situation. And here came the most merciful Bahaullah, with His promise of coming to assistance in moments of real desperation. I was born and brought up in Kuantan, Pahang. I was brought up with strong belief in the existence of God. As a child, my mother would tell me stories of Hindu Gods and Goddess and relate virtues from the Hindu epics of Mahabharata and Ramayana. These stories instilled the love and fear of God within me from a very young age. Hence, I used to turn to God for everything in my life. I started participating in Hindu classes as early as a tender age of 9, in Kuantan. Our teacher, one Mr. Mudaliar would make me read the Hindu scriptures and passages. He would then give discourses to the elderly students in the class. This further reinforced my belief in God. When I was in the secondary school at Jalan Gambut in Kuantan, my primary school teacher invited me to the Methodist church on Sundays and exposed me to Christianity by going through passages from the Bible. This went on a weekly basis for 6 consecutive months. But my belief in Hinduism never wavered. In the year 1961, my mother passed away. 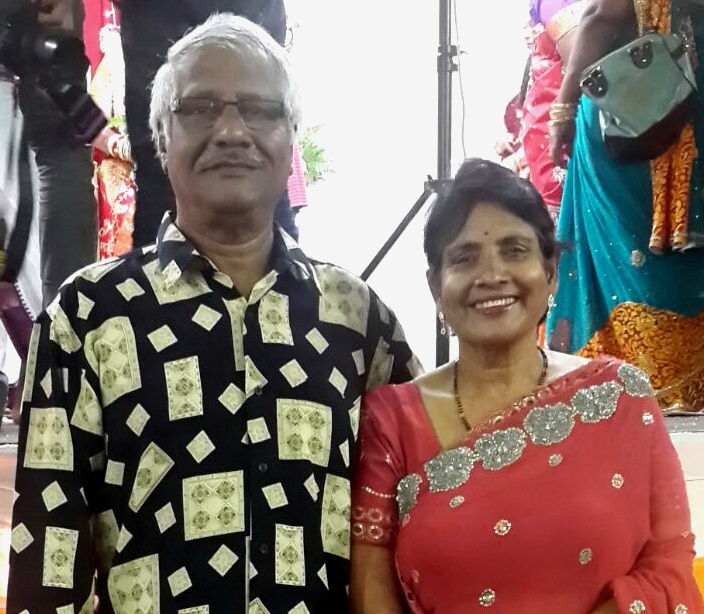 My siblings and I came under the care of my uncle Mr. Muthu and my aunt Madam Tanakodi. In my early twenties, I was introduced to the Bahá’í Faith by my sister in Kuantan, Pushpa, who was at that time already a Bahá’í . I was worried for my sister Pushpa as I felt she might have been misguided into accepting this new and unknown religion. After a year or so, Mr. T. Thanabalan and Shirley Wong from Petaling Jaya tried to once again teach me the Faith in my aunt’s house in Kuantan. I seem to like what they said about the Faith. But at the same time, I was so worried that this will upset my aunt who was a staunch Hindu. She was such a good person I did not have the heart to upset her by accepting a new religion. Since I was so anxious and nervous, I was not paying much attention to what Thanabalan and Shirley were saying. At the end when they asked me to sign the declaration card to become a Bahá’í , I said I will do it the next day. My intention was getting them out of the house as fast as possible. I thought I had won the battle. But the war within me had just started. I started feeling a stirring within me. I had promised that I would sign the card the following day. I was anxious and nervous as I had already given a word. The next day, with this excitement in my heart, I went to a Bahá’í friend’s house and there I declared and signed the card as a Baha’i, and I kept my word. That was 24 February, 1974, in Kuantan. When signing up as a Bahá’í I did not have deep knowledge on the Faith. But I had an indescribable feeling of joy when I made up my mind to accept the Faith. Once that feeling came over me, I was convinced that I was being guided to accept the Faith. A few days after signing up, some thoughts were still disturbing me within me. Did I do the right thing by signing up? Had I become treacherous to the Hindu religion I was born into? These were the questions that were running in my mind. It was providential that I met Mr. Raymond Peter here, who started narrating many stories of Abdul Baha. With these stories, I immediately was attracted to Abdu’-l Baha, and was quite happy I had not blindly accepted the Baha’i Faith. Then it dawned upon me that we all need some kind of spiritual fathers in our lives to guide us and give us the needed conviction. All these happened when I was undergoing a nursing training in Kuantan. Two weeks later, I was posted to a rural district, a Federal Land Development Authority (FELDA) settlement in Ulu Jempol, Pahang, after completing my nursing course. I was working and living alone in the clinic which had no proper water supply. There was only a kerosene lamp for a lighting. I was unhappy and lonely as this was the first time I was away from home. I spent my time praying and begging for assistance from Baha’u’llah. To my surprise, within a few weeks I was transferred to a place near Kuantan, a more urban area with all basic infrastructure, and closer to my home. With this transfer I could attend Bahá’í activities in the Bahá’í Center. I had the opportunity to learn more of the Faith through deepening classes. In 1975, I was again transferred to Rembau town in Negeri Sembilan for a 6-month training course. Rembau did not have an active Bahá’í community at that time. But I was lucky in the sense that I could join the Baha’i’s in Kuala Pilah for my Bahá’í activities. I went to Kuala Pilah each weekend and stayed overnight in the house of the late Mr. Kuppusamy family. It was only when I was call that I did not go over to Kuala Pilah. The elder children in the family of Mr. Kuppuasamy had accepted the Faith and were active, especially Rajadurai, Rajeswary and Nirmala Devi. I joined them and a few other youths and took public transport for teaching to the nearby estates. We used to set out early in the morning and return in the evenings. We covered almost all estates surrounding the towns of Kuala Pilah and Bahau in the six months I was posted to Rembau in Negeri Sembilan. Those were the blissful days. In Kuala Pilah I met the late Mr. Boloram and the late Mr. Karuppiah who gave much strength to me. Karuppiah organized several deepening classes for us. In December 1976 I attended the South-East Asia Regional Conference graced by the Hands of the Cause of God Mr. Abul Qasim Faizi, Mr. Collis Featherstone and Dr. Muhajir. I was very much moved by the spirit in the Conference. There was so much feeling of unity among the Bahá’ís from various races. I had never witnessed an atmosphere of unity of this kind. The talks by the Hands of the Cause in this conference gave me further conviction and confidence that I had done the right thing by accepting the Bahá’í Faith. I had an inner urge to do something for the Faith. I spent time in prayers seeking a path of service. My prayers to serve the Faith were answered when I attended the Bahá’í Summer School in Stella Maris Bungalow in Port Dickson in 1977. Counsellors K.H. Payman and Inbum Chinniah were there to grace the occasion. 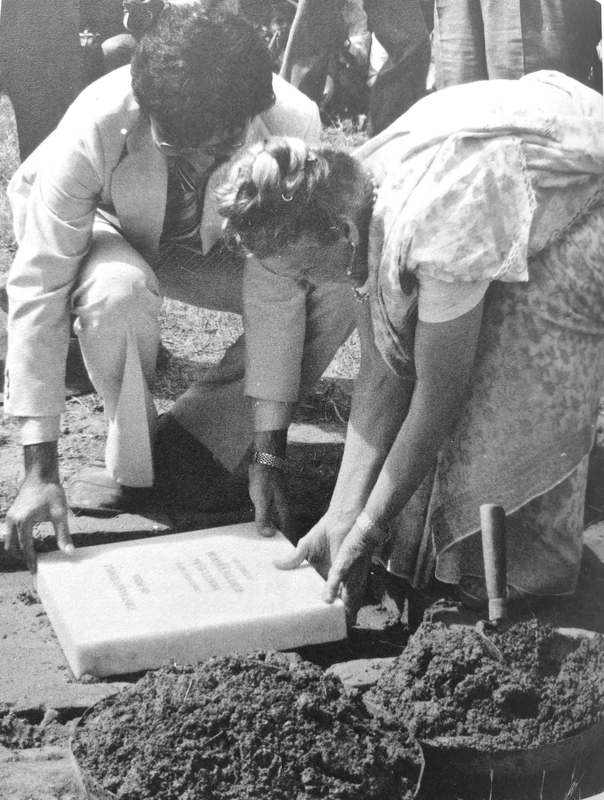 When the call for pioneering came, friends arose to pioneer in Africa, India and Sri Lanka. I was one of them who had given my name to pioneer to South India. Upon the advice of the National Spirituals Assembly of the Baha’i’s of Malaysia, I was ready to join a team of 6 other ladies to attend the All Asia Bahá’í Women’s Conference in New Delhi, India. They were the late Aunty Achuthan, the late Mrs. Thuraisingam, Mrs. G.A. 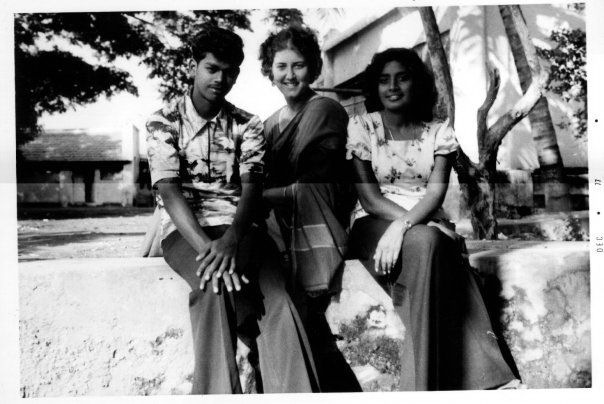 Naidu, Lechumy, Mrs. Sarveswary Nadarajah and Miss Parvathy Nadesan. We planned to join in the South India Teaching after the Conference. When the time approached for my departure to New Delhi, my aunt was reluctant to let me go to India. But Mr. K.S.K. Lachumenan, whom I was planning to marry soon had convinced my aunt to let me go. He even promised her that he would marry me once I returned from India. Lachumenan was very supportive of my wishes even though he was also a new Bahá’í at this point. He accepted the faith in 1976 after I introduced the Faith to him. That was another great fulfillment in my life, and I thank Bahá’u’lláh for giving me a wonderful husband with whom we established a good Bahá’í family. Finally, we all flew to New Delhi. At the Conference, I was introduced to an American lady, Ms. Jeanne Yamartino. She was going to join us in the South India Teaching Project in Tamilnadu. She was wearing a maxi dress and had a short hair. I was worried she was going to be a “sore thumb” in a rural and conservative village in India, in 1977. Once the conference was over in New Delhi, we Malaysian ladies were heading for Chennai in Tamilnadu on a train journey that lasted 36 hours. It was on this journey that I was put to a severe test. I was a new Bahá’í , and had only learned superficially on the Faith. I had attended some Bahá’í deepening classes and had not started to read Bahá’í many books to immerse in the Bahá’í writings. All I knew was that the Bahá’í Faith certainly was good for me and mankind. 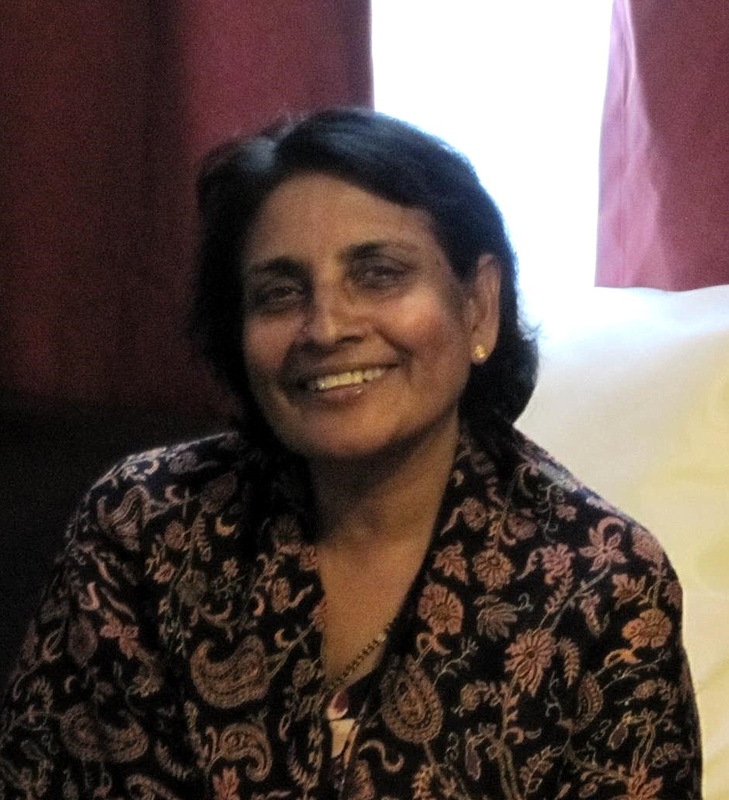 Miss Parvathy Nadesan who was traveling with me, mentioned that a Bahá’í friend from Kuantan was surprised when I volunteered to travel teach in the South India Teaching Project. It seems that Bahá’í in Kuantan had a perception that I was a new Bahá’í and was not well versed in the Bahá’í writings and this would pose some difficulties in teaching the Faith to the people in Tamilnadu. I was badly shaken. I must admit that I was educated in the Tamil school while in the Primary School and had continued my studies in English in the Secondary school. Conversing in Tamil in India would not be a problem. I admit that I was not too deepened in the Faith. But with that one statement coming from the Bahá’í in Kuantan, I was very shaken. He was sincere in showing his concern for my performance in the teaching field. A thousand questions kept unfolding in my mind. Is it a requirement for a Bahá’í teacher to be well versed in the writings to go for filed teaching? What are the books I should have read and what are the subjects I should have mastered? How many Baha’i passages should I have memorized? How many years of experience of field teaching should I have completed before stepping out of my house to teach? Had he told me directly before I left for India, I do not think I would have undertaken this teaching trip. But one thing was certain. The love I had for Bahaullah and His teachings could never be doubted. It is Bahá’u’lláh and Bahá’u’lláh alone who knows how much I love Him and His glorious Faith. It was not with the knowledge that I had undertaken this great the mission of taking the Faith to the people of Tamilnadu. Throughout the journey, I was mostly to my own self. All the way during the train journey I kept praying fervently for Bahá’u’lláh to guide and assist me in enabling me to be successful in the teaching task. Rather than saying I prayed, I was indeed beseeching, begging and crying for Bahá’u’lláh’s help. The conversation in the train opened my eyes and made me turn to Bahá’u’lláh in complete reliance on Him. I had certainly read somewhere that Bahá’ís are required to take only the first step and the rest of the path would be opened. I knew Bahá’u’lláh would not fail me. I submitted myself to the helping hand of Bahá’u’lláh. We arrived in Chennai. The following day, the late Aunty Achuthan, mother of Dr. M.M. Sreenivasan and I left for the Sulur village near Coimbatore city. It was in the KGB Garden in Sulur village that we had the base. My prayers were still on deep in my heart. As I was going through my prayer book, I came across this passage, by Abdul Baha“ O ye beloved of Bahá’! Do not look at your weakness, nay, rely upon the confirmation of the Holy Spirit. Verily, it maketh the weak strong, the lowly mighty, the child grown, the infant mature and the small great.” I felt this could not be a co-incidence, as it had come to my sight just on the eve of me stepping into the teaching activity. I felt very assured and composed. Ms. Jeanne Yamartino joined us for the teaching project. On the second day, Ms. Jeanne could attire herself in a proper sari. Her presence itself attracted the attention of the curious Indian villagers, and people would simply gather around her. This simply opened the door for our teaching opportunities. A great surprise was there for me- from Bahá’u’lláh Himself. Ms. Jeanne would speak in English and I would translate for her in Tamil. This was an unexpected turn of events. I had been crying within me for my lack of deep knowledge in the Faith. But this was not the case in the teaching field. I saw that Ms. Jeanne was teaching the villagers with the very basics of the Bahá’í teachings, and the villagers were very attracted. As I translated her talks, the villagers seem to understand the simplicity with which I conveyed the message of Bahá’u’lláh. Unconsciously I seemed to have gained confidence in teaching the Faith. This became our daily routine. Because of her presence, even the government officials made way for us to carry out the teaching work successfully. I realized she was the direct answer to my prayers. I gained much experience and knowledge from her in the one month that we spent together. Teaching was the easiest of all Bahá’í tasks, contrary to the fear that was set into my spine! As a group, Ms. Jeanne, the late Mr. Lingam and I were so supportive of each other and united that the teaching process was highly successful. That flooded and filled out hearts with full of indescribable joy. Jeanne had to leave for the USA while I remained behind. Upon her return to the US, I realized I was not alone. I was always guided by the holy spirit in the teaching field. I was so convinced of the power of Bahá’u’lláh and continued my teaching work. Whereas on the way to Chennai from New Delhi, I was crying out of fear of failing in the teaching field, now I was crying of out the immense assistance that Bahá’u’lláh had given me. Bahá’u’lláh had truly kept to His promise of helping anyone who arose to teach the Faith. 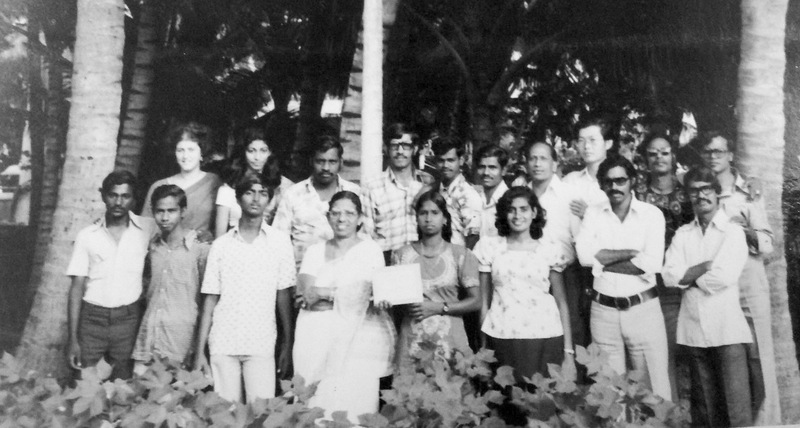 In the South India Teaching Project I met many wonderful Malaysian teachers of the Cause like Mr. Muniappan, the late Mr. Lingan, the late Mr. Muniandy and his wife Parvathi, Mr. Selvam Kamalam, Mrs. Kamala Kannan, Mr. Zak Muniandy, Mr. Yin Tin Shih, Mr. Krishnan Sinniah, Miss Ranee Datwani, Mr. Kannan Seenivasan, the late Mr. Selvarajoo, the late Mrs. Achuthan and the Project Coordinator Dr. Sri Ganesh. I also met many travel teachers from different countries. I gained many interesting experiences and memories while teaching in the rural villages which I will treasure for the rest of my life. I was in South India for about 5 months. With some participants of the South India Teaching Project. I came back to Malaysia and married Lachumenan on 22 May 1978 in Kuantan. I am very thankful to Bahá’u’lláh for giving me this precious opportunity to participate in this great journey of teaching His Cause. Participating in the South India Teaching Project was the single most event that gave me sufficient confirmation in the Faith as I was able to see the power of Bahá’u’lláh. I learned the meaning of complete reliance, trust in prayers and surrendering to the Will of Bahá’u’lláh. I returned with one big lesson- One need not go through any university degree to qualify for teaching the Cause of God. What is needed is only sincerity of motive and love of Bahá’u’lláh within you. And you have witnessed the Power of Divine Assistance. Thank you for this lovely contribution. Thank you for your lovely story. it is a testament to the fact that all our knowledge counts for naught, indeed it can form a veil between us and God. The purity of your love and the selflessness of your motives allowed Baha’u’llah to make you a wonderful lamp for His Cause. Keep on shining!